Inductive coupling is not new to automation. The concept in various forms has been around for over few decades. It was not actively used, and my guess is that more than form factor or functionality of couplers, it has to do with automation technology relying on mechanical and hard wired components. With growing complexity and ever evolving technology, the inductive coupling has also evolved. Nowadays, you can charge your smart phones or tablets using the charging pad that uses the very same technology. In industrial automation space, inductive sensors are very popular and commonly used for detecting proximity of metal objects such as food cans, or machine parts. Inductive coupling also known as non-contact connectors, use magnetic induction to transfers power and data over an air gap. Yes, it is a kind of very short range wireless technology that also enables power transfer. In this series of blogs on Inductive coupling, we can explore various use cases of Inductive coupling in complex automation. Today, let’s see how inductive coupling compares with traditional slip-ring mechanism. That’s right, it is the same technology used in the motor starters. Slip-rings also known as rotary connectors are typically used in areas of the machine where one part rotates and other part of the machine remains stationary. For example, indexing table or turn table where stations on the indexing table need power and I/O but the table rotates through full 360°, hence standard cable solutions are ineffective. 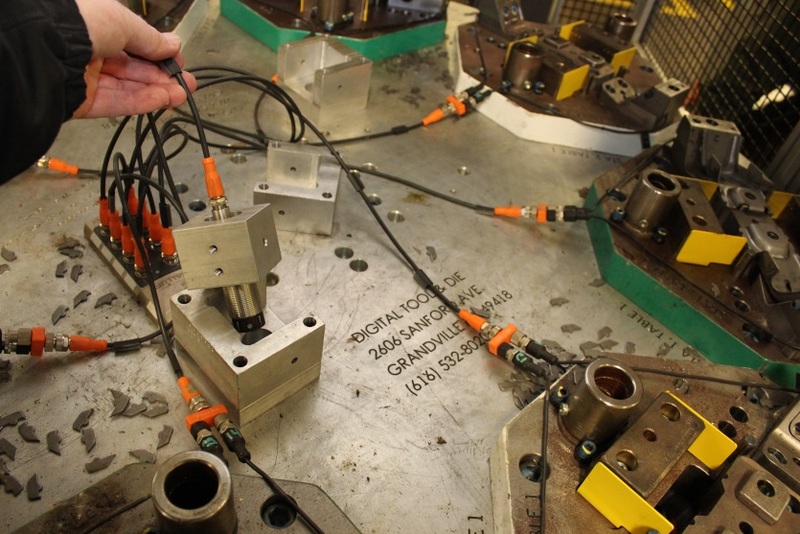 A slip ring could be installed at the base of the table. Since, slip rings are electromechanical devices, in a long term they are subject to wear out. Unfortunately, the signs for wearing are not evident unless one day there is no power to the table. Inductive coupling solution eliminates all the hassle of the mechanical parts. 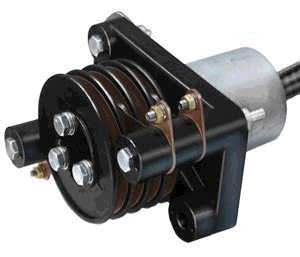 With non-contact inductive coupling base of coupler could be mounted at the base of the table and the remote end could be mounted on the rotating part of the table. Slip rings are susceptible to noise and vibration — because they are electromechanical devices, whereas inductive couplers are not because there is no contact between the base and the remote. In fact, the turn table shown above uses an inductive coupler. Inductive coupler, typically have IP67 rating for the housing are not affected by dirt or water, immune to vibrations and most important they are contact free so no maintenance unless you hammer one out. Learn more about Balluff inductive couplers www.balluff.us. Previous PostPrevious RFID ROI – Don’t forget the payback!